Yasuko Tsuchikane teaches as an adjunct assistant professor at Cooper Union in New York. One of her major interests is to investigate Japanese modern artists’ engagement, beyond the art world that comprised art professionals, with other social sectors committed to patronizing, producing and evaluating specific types of art with their respective social, political and ideological agendas unlimited by solely artistic concerns. 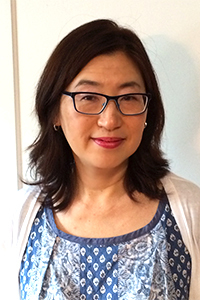 Currently, her focus is the interdisciplinary examination of art history and religious studies of the parties dedicated to the production and reception of modern art in historical Buddhist temples, which she is exploring through her current book project for Brill on a Nihonga artist, Dōmoto Inshō. Her article, “Rescuing Temples and Empowering Art: Naiki Jinzaburō and the Rise of Civic Initiatives in Meiji Kyoto,” in Alice Tseng and Morgan Pitelka eds., Kyoto Visual Culture in the Early Edo and Meiji Periods: The Arts of Reinvention (Routledge, upcoming), also explores her related interest in 20th century Kyoto as a site of art patronage and production in Buddhist temples. Another area of major interest for her is the study of the intellectual discourse on ceramics in modern Japan as a part of its global cultural and political exchanges with the world outside Japan, a theme which she examined in “Picasso as Other: Koyama Fujio and Polemics of Postwar Japanese Ceramics” for the upcoming issue of Review of Japanese Culture and Society.